It is very possible to achieve tight, youthful skin without surgery or painful intensive conventional laser treatments. At Dermatology & Aesthetic Center of El Paso, the Sublime™ treatment by Syneron is great for targeting the telltale signs of aging, including jowl and neck laxity, puffiness around the eyes, sagginess at the brows, wrinkles around the mouth, and nasolabial folds on all skin types and ethnicities. If you have felt the effects of aging when you look in the mirror, this treatment will definitely help you achieve that youthful, firm look you want. You will see results almost immediately after treatment, which is why it is frequently called the “Red Carpet” procedure. Truly, many celebrities have received this prior to their paparazzi exposure. Repeated treatments can help you get exactly what you want from the Sublime. We have a list of common questions and facts to help you decide if this procedure is right for you. How Does Skin Tightening Elos™ Sublime™ Applicator Work? The Sublime™ treatment (previously known as ReFirme™ ST) combines two energies to produce the best results. Our physicians use safe yet effective levels of infrared light and bipolar radio-frequency (RF) energies to remodel the dermal layer of the skin. This stimulates new collagen growth. Dermatologists have used laser and RF separately for many years in cosmetic dermatology treatments. However, the combined energies provide a safe result with little side effects and nearly no recovery time. How Often And How Many Treatments? It is best to schedule three to five sessions about a month apart. Because the radio-frequency enhances collagen formation, patients continue to see improved results three to six months after all the treatment is done. Many also come back every six months for maintenance. Our Sublime™ Applicator treatment will improve sagginess and skin laxity in the neck and jowl area. You will also notice smoother skin texture, smaller pores, and a firm appearance. You may leave our office after your treatment with a slight pink appearance, however, not all patients experience this side effect. Most patients even return to normal activity with no downtime. In fact, this is the ideal treatment to get before a special event when you want that uplifted boost and glow that others will notice. These benefits make this procedure a great alternative to surgical options. Who Can Be Treated With The Sublime™ Applicator? Just about everyone is a good candidate for this skin tightening treatment. Dermatologists can treat all skin tones to improve sagginess, loss of elasticity, or rough texture and large pores. Unlike other laser treatments, people with dark toned skin do not have to avoid the Sublime™ skin tightening treatment. Not only is this skin tightening treatment gentle, it is also pain-free. There is no need for topical anesthetic. Our physicians use skin cooling measures to ensure an added measure of safety and comfort for all of our patients. Sublime™ Treatment stimulates your body to produce more collagen. This and elastin, are the building structures beneath the skin’s surface that improve our skin elasticity. It helps your skin to remain taut and smooth. 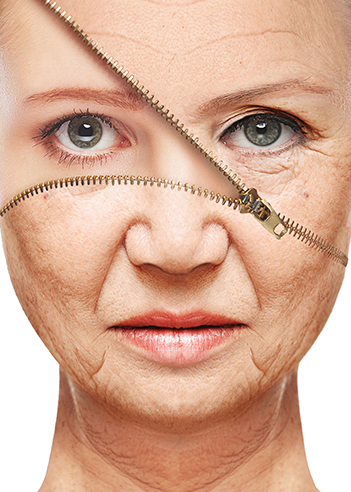 As the body ages, collagen breaks down which causes wrinkles and laxity. This reproduction of collagen is a more natural way to regain a youthful appearance. This procedure is painless and gentle. When it comes to treating sensitive areas like the neck and jowl area, you won’t need to worry about experiencing pain. The treatment takes about 20 minutes, which makes it an easy “lunchtime” procedure. This skin tightening procedure treats a wide variety of skin imperfections all at once. Nasolabial lines, forehead wrinkles, loose skin under the jowls and neck, drooping eyebrows, and eyelids can all be treated with several sessions of one procedure, and no surgery or recovery time.